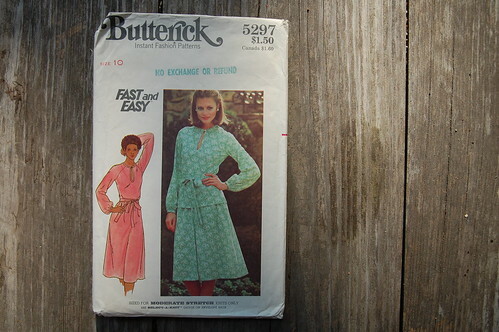 There’s nothing more fun than looking through patterns and picking out possible ‘future projects’. 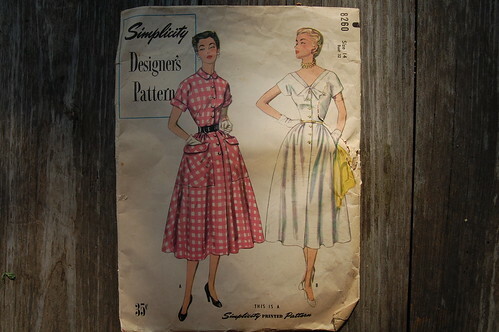 I spent a couple hours today looking through hundreds of vintage sewing patterns. I set a few aside for myself and have already started picking out fabrics in my mind. Even though I have so many projects on the go right now, I can’t help but dream of some new clothes for fall. These are all possible contenders that might be making a second appearance here in fabric form. 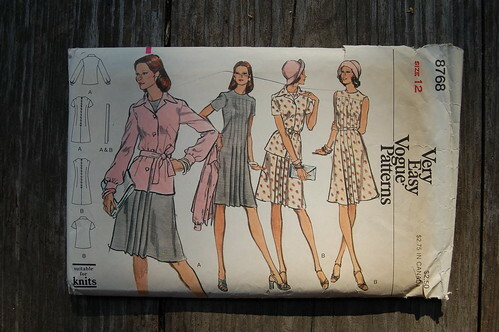 the workroom has acquired a large collection of vintage sewing patterns very similar to these from 1940s to 1980s. We’ll be putting out a few boxes full of them at the Kids Trunk Show this coming Sunday. They are worth a look, if only for the lovely illustrations/hilarious photos. p.s. I marked down over sixty bolts of fabric on our shelves to help make room for the new fall collections, so it’s a good time for you to dream up some fall projects, too! Oh my goodness i made that Symplicity 8183 when I was in high school! I remember having to get my mom to help me with the elastic! it was a dark blue floral print! Can’t wait to flip through the patterns again! What fun! 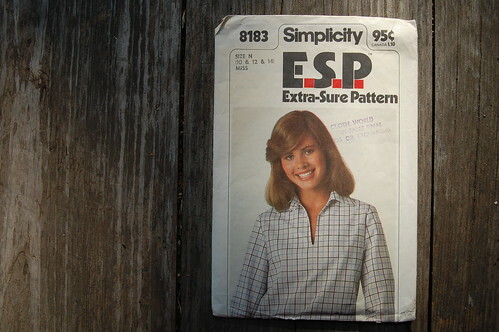 And speaking of that Simplicity 8183 pattern, that model looks like she REALLY needs to use the washroom. I love the grey pleated dress and the blouse with the bib detail! Like I needed two MORE reasons to come on Sunday! So looking forward to getting the girls’ portraits done. 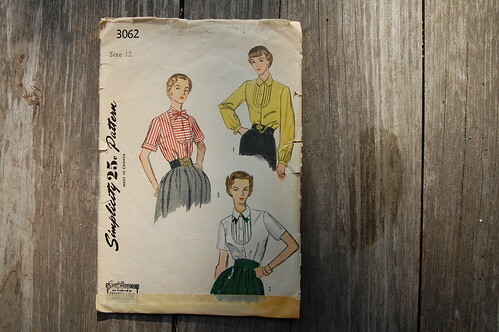 And, I’m lovin’ the tux shirt in Simplicity 3062. Must. Make. It. Are these for sale? If so, is there any way a purchase can be made online? too bad I missed the trunk show! I was in a plane flying back to Toronto from the Yukon. I went to the Salvation Army thrift shop when I was there and found some pretty fun vintage patterns too, for only 25 cents apiece so I bought $3 worth! Strange how these things happen at the same time! 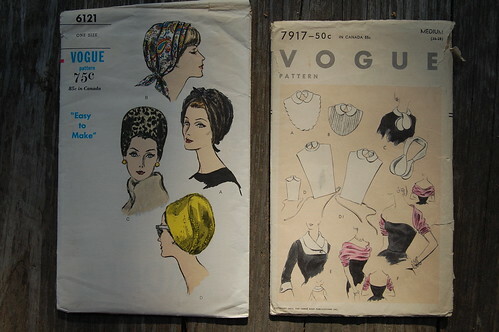 You mentioned that you studied at Ryerson: does Ryerson collect old sewing patterns for its archives or classes? The last time I was in Toronto I visited “The Textile Museum”. Is there another museum or archival collection in Toronto that is dedicated to vintage pattern and clothes? Like the Costume Museum outside Winnipeg? 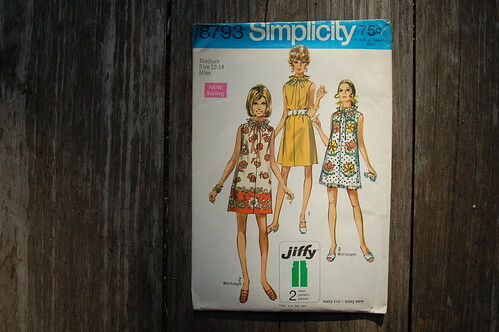 I know the University of Guelp collects Canadian cookbooks for its archives but is any university or private group collecting old Canadian sewing patterns?